A soft flex and all-around easy Boa® closure for the next step in kid-focused comfort. 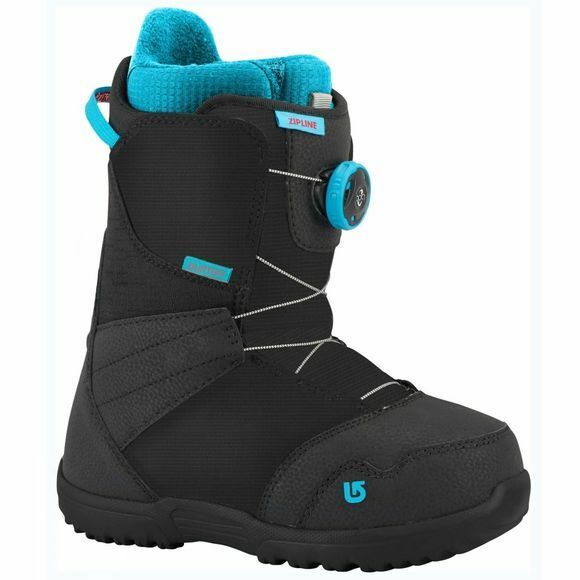 Inside and out, the Burton Zipline Boa® boot is a kid-tested, parent-approved winner for maximum fun and fuss-free function. No shortcuts here, just real-deal performance and features to get kids ahead, from the customized fit and warmth of a heat-moldable Imprint™ liner to the weightless feel and cushioning of the DynoLITE outsole. Add the easy entry/exit and mitt-friendly adjustability of the Boa® Closure system and you get a boot that kids will actually want to wear all day.